There’s no doubt Melbourne loves to party, with a swag of late-night destinations to suit any and every occasion. From big room venues with huge dance floors and international DJ’s, to intimate underground haunts, this city surely has your clubbing needs sorted. Grab those dancing shoes and get ready to hit the town, with our pick of Melbourne’s best nightclubs as your trusty guide. For an upscale nightclub experience, you’ll find it hard to top an evening at Blue Diamond — a luxe, speakeasy-style spot, perched 15 storeys above Queen Street. Up here, it’s all class, with plush Art Deco interiors, party-ready crowd and a snappy drinks offering. Friday nights kick off with after-work drink specials (4-9pm) and Dj sets from 5pm, while Penthouse 15 transforms the space into an RnB hot-spot each Saturday. It might be Fitzroy’s youngest nightclub, but Glamorama has won itself a loyal crowd of regulars. Climb the stairs and you’ll discover just why – a high-energy party spot, with local DJ’s spinning tunes, a small-but-mighty dance floor and a ripper indoor courtyard, where all the best socialising happens. The cocktails are memorable, the spirits list is locally focused and it all kicks on until 5am. There’s a lot to love about this three-level party playground; between the mod-retro styling and the buzzworthy line-up of DJ’s throwing down the latest in techno, electro and house. Let loose on the light-up dance floor, or venture upstairs for some cocktails in the rooftop lounge bar. The 9am weekend licence pulls all the serious late-night revellers, while Monday’s 9am-9pm session goes down a treat with Melbourne’s party-loving hospo crowd. This CBD bar and nightclub has a little something for all occasions, whether you’re hunting after-work cocktails, dinner in the beer garden, or a good ol’ dance floor session. The entertainment offering is just as broad, running from Friday’s comedy night, to the ever-popular Pony Saturdays, when the evening pumps to a soundtrack of RnB, house, or techno, depending on which room you’re partying in. Considered by many as Melbourne’s spiritual home of RnB and hip hop, Chaise Lounge knows how to party with the best of them. 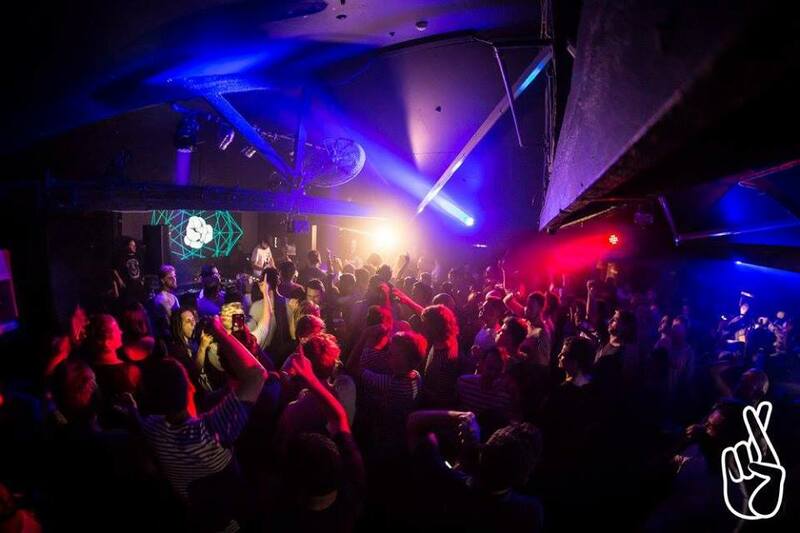 The thumping basement nightclub delivers a mix of classic and new-school tunes, guaranteed to get you letting your hair down every Friday and Saturday night. Prepare to be wooed by hard-to-beat drink specials ($10 cocktails, we’re looking at you! ), and an energetic crowd of fellow revellers. A firm favourite among the after-work set, this Collins Street spot is a bar, restaurant and nightclub rolled into one, with party vibes on tap every Thursday and Friday. It’s a place where knock-off drinks slip easily into late-night fun and dance floor antics. Roll in on a Thursday for Latin American dance classes followed by some freestyling, or on Friday for an evening of hot RnB tracks. As both a nightclub and a working pawn shop, this Greville Street haunt makes for one very unique party destination. Against an eclectic backdrop, the decks play host to a cracker line-up of local and international acts, loosening up the dance floor with the hottest house tracks. The bar’s slinging top-notch cocktails, and a 5am licence means you’ve got time to sample the whole darn lot of them. One of the city’s most respected party destinations, the legendary Brown Alley is where weekends come alive. Housed within the Colonial Hotel, the multi-level nightclub boasts an array of bars and dance floors, and even a sunny rooftop primed for cranking day parties. Some of the world’s hottest acts have graced these decks, the club’s progressive music program pulling dance fiends of all persuasions. A big night awaits. One of three rocking nightclubs on Crown’s Level 3, Therapy is a riot for the senses, with its mesmerising light displays and state-of-the-art sound gear. It’s a “go hard, or go home” kind of party spot, sporting two separate bars, a sprawling dance floor and squashy couches for those necessary time-out sessions. Expect a sleek crowd and big name DJ’s spinning the hottest RnB tracks until the wee hours. Another of Crown’s collection of Level 3 nightclubs, CO has your weekend partying needs all wrapped up. Friday nights are dedicated to RnB, new and old, while Saturday’s soundtrack is mixed through with a healthy dose of commercial house. The decks here attract some big-ticket acts and the dance floor is a monster, so frock up in your finest clubwear and get ready to party hard until 5am. Explore The Best Nightlife In Melbourne To Know Why It’s The World’s Most Attractive City!